them to keep the kiddos feeling Christmas-ey here & then add them to the BB's stash later...! When I saw your post yesterday, I rushed straight upstairs to BEG my husband to take me to Ikea there and then!! Your purchases are making me green with envy!! I am a very happy follower and would LOVE to be entered into your giveaway, please. Great stuff! I love anything christmassy! will go follow on fb now. Oh Melissa you sure do know how to shop well! It's all so very lovely. Those birds are the cutest idea. 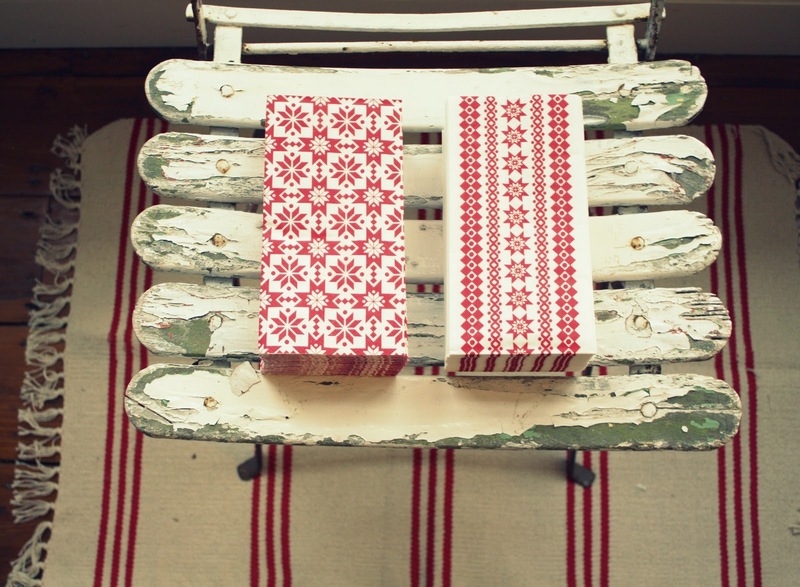 The pretty red pattern on your other bits and pieces are so sweet. Oh if only I could pop over to IKEA but sadly we don't have one yet over here in NZ. I haven't been to one in 14 years!! Oh the torture of seeing what they have on your blog is almost too much. I don't like tinsel either but I do love those snowflake garlands. 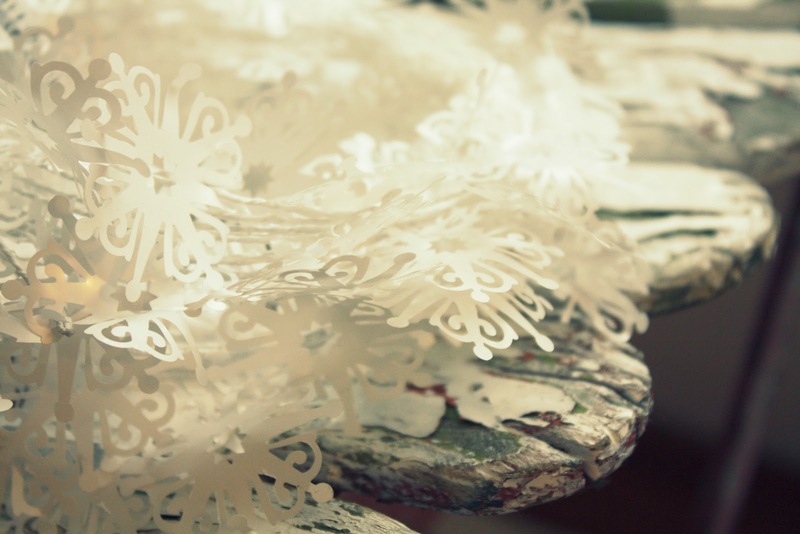 What fun you are all going to have decorating this year. Enjoy! Sorry I can't follow you on FB. I don't do FB. Thanks for the show and tell anyway. 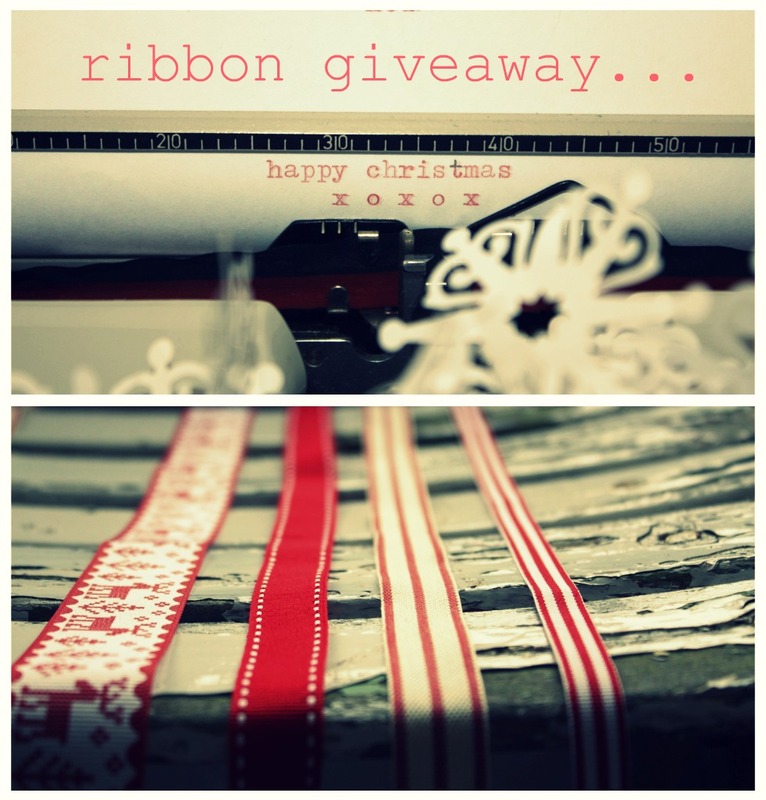 Your house is going to look amazing with red and white at christmas, we need a look around when you have decorated ;) Great giveaway ribbon always goes down well! 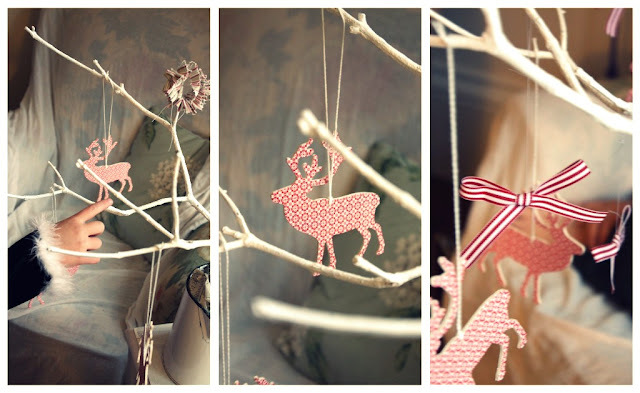 gorgeous christmas things!! love it all. 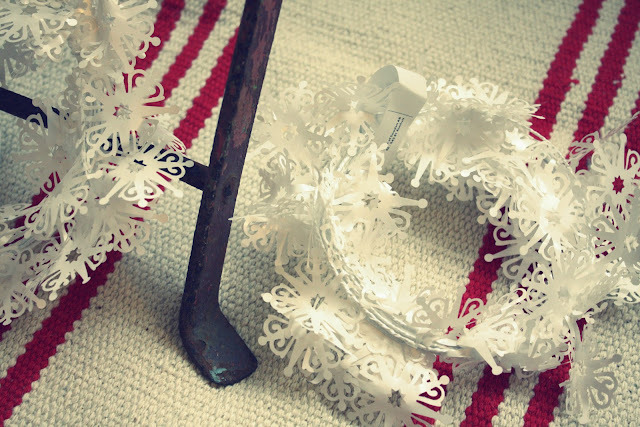 the white paper garland is very cute. looking forward to my trip to ikea soon i hope. 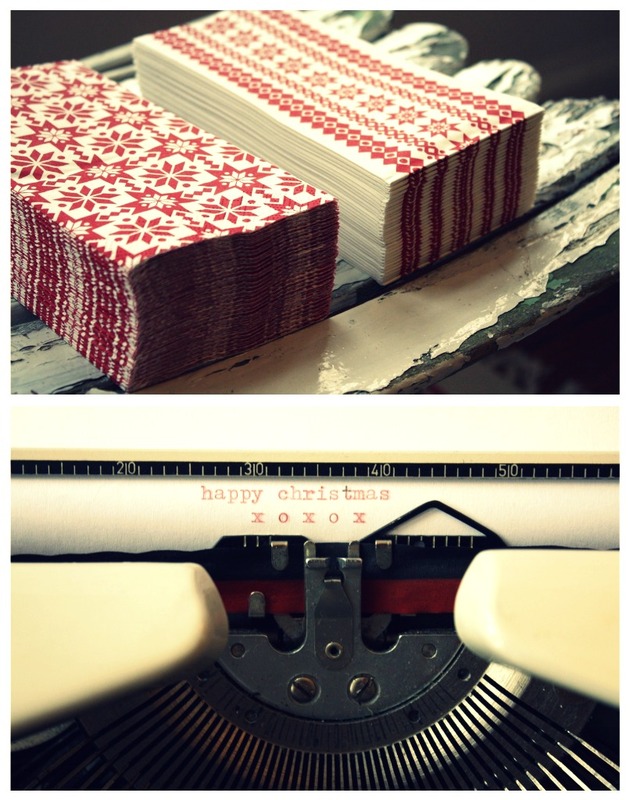 Loving your christmas stash and your typewriter shots. May have to take that hour trip to Ikea. You have such great taste and sense of style. fun! I can't wait to go this week! A happy follower already (anyaadores) and have liked you on FB. count me in on your giveaway!!!! will add it to my bloggy blog tomorrow! much love and hugs dear lovely country gal! I have a serious crush on your reindeer. They are gorgeous.I have just read Lauras comment and feel a little sad about your move too. I can't believe how sane your blog posts are when life must be fairly chaotic right now. Mind you, I am so happy you will be back home with family. 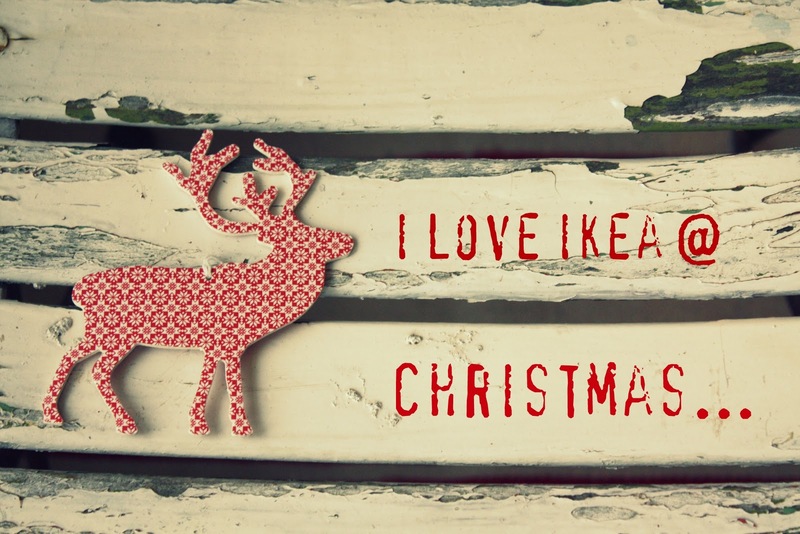 Love all of this....must get to Ikea but to win would be wonderful!! oh i miss ikea...we live 2 hours away now...waaaaaaa. got to get there soon. 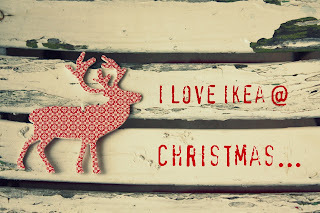 Planning an Ikea trip this weekend (girl's Christmas shopping get-together) I love their Christmas collection ♥ The red and white reindeer are adorable! Lovely decorations and gorgeous ribbon - you have fantastic tastes! What a lovely post! I love all of the red and white ideas. I hope the Ikea over here has all of these goodies. Thanks for popping by today. Lovely to meet you! Fill me right up with ikea-envy why don't you melissa! 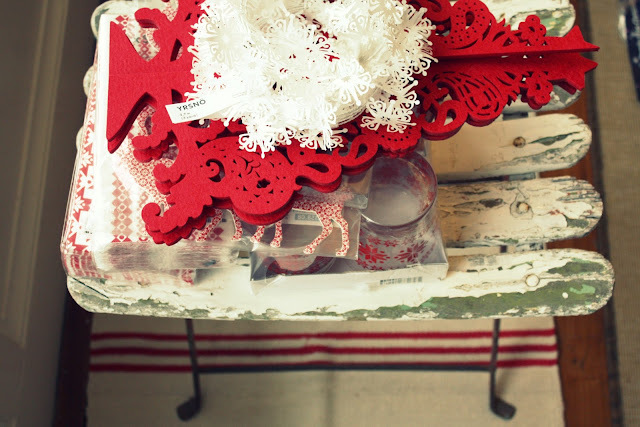 I adore red and white all year round, and it's my christmas colour scheme of choice too. I love it when our little ones inspire us with those sorts of conversations full of excitement - especially if you're making things together. You do Christmas SO beautifully! Red, white and Ikea - love it! And I don't need me drill and tools for this like the Ikea furniture! 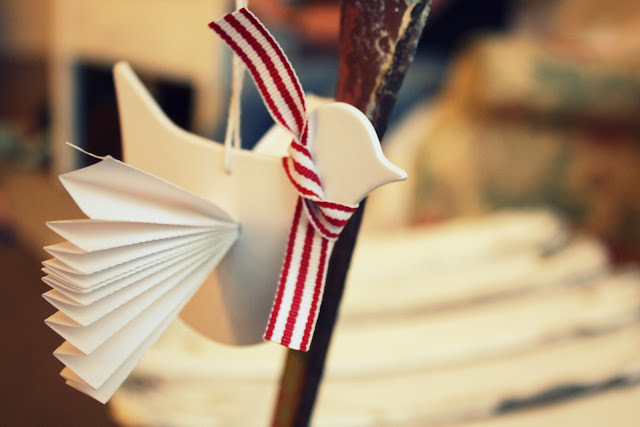 Those peace doves definitely need to go to Sydney with you! crocheted white star decorations-love the white snowflake garland but they were out of stock. As I havn,t been around for a while I missed that you are leaving our shores to return home, I do hope you will continue to post from over there I look forward to catching up with you on google reader. 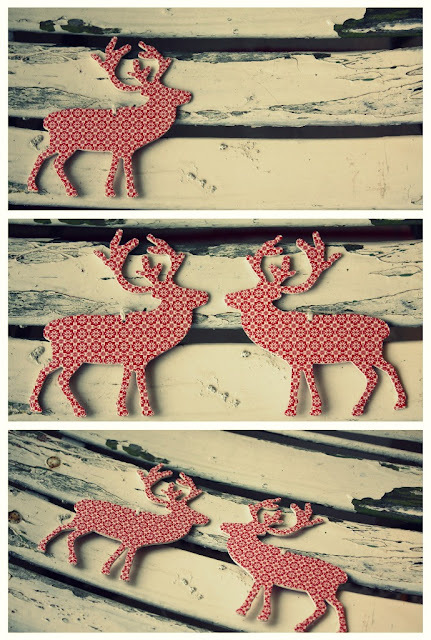 The red and white reindeer are beyond adorable. Red and white are the Christmas colors of our generation.